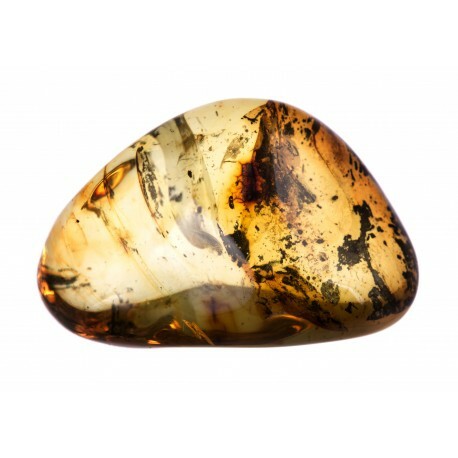 Irregular, flat-formed amber in which clear lemon-colored, yellow and white amber tones vary sometimes changing with earth traces. 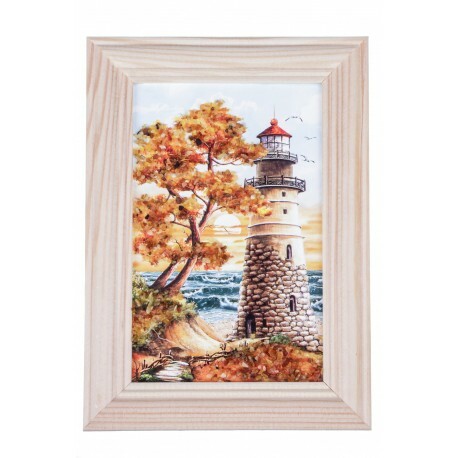 All this beautiful picture of nature is enframed in the golden threads. 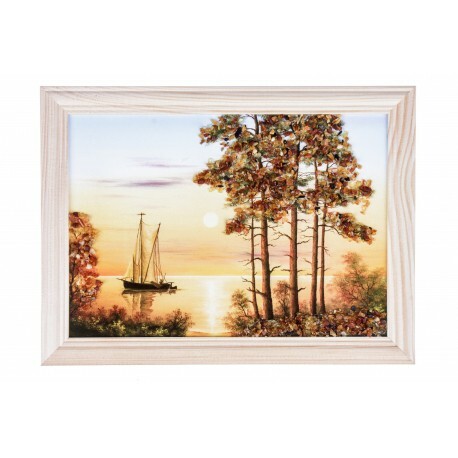 Nature creates the perfect combinations. 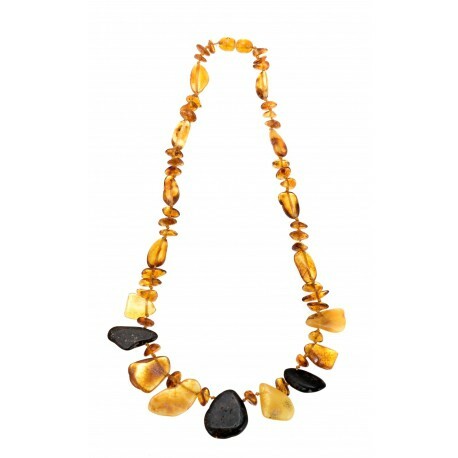 The focus of this necklace is a nature merged combination of the royal white and the honey yellow amber weaved with golden strands. 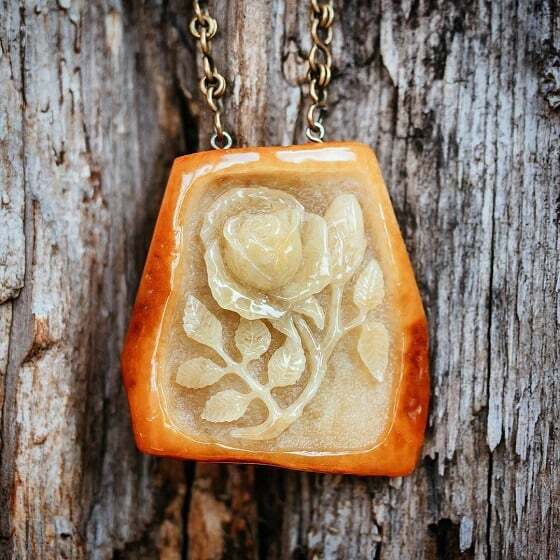 A distinctive, unique jewelry work with the rarest, white Baltic Sea amber. 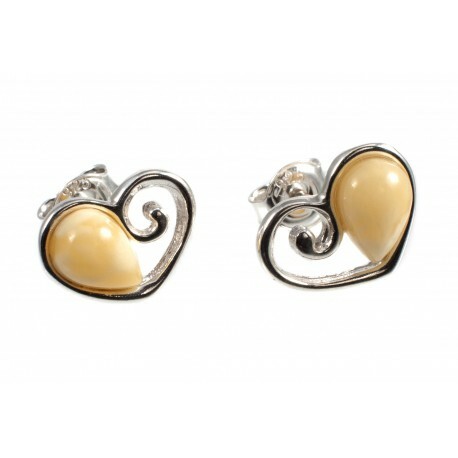 A distinctive design not only will decorate Your hand but will let You feel the most important person in the whole world. 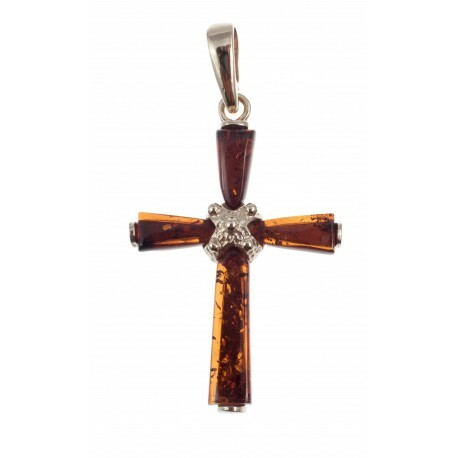 A golden pendant - cross, decorated with cognac-colored amber. 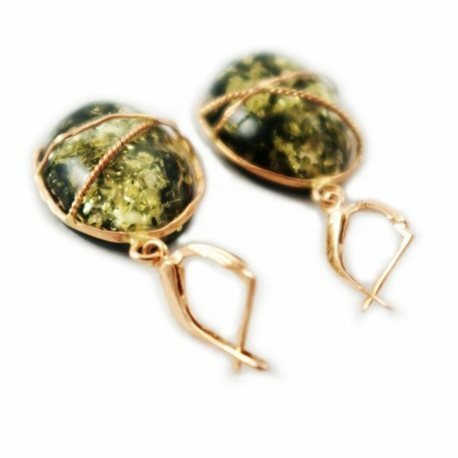 Golden earrings with green amber - like green valleys of far-distant countries, inviting and alluring. 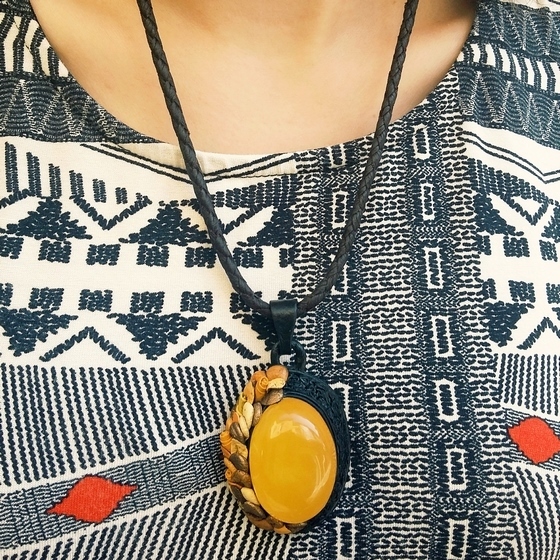 The emerald green amber braided with gold threads. 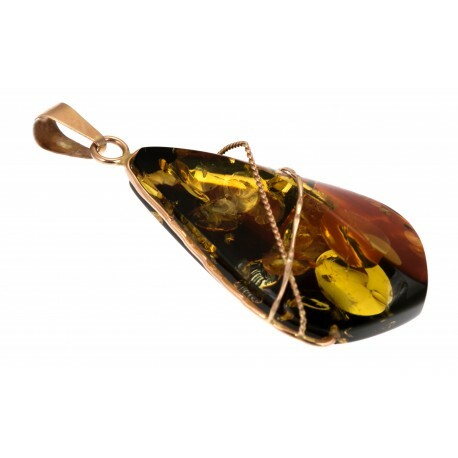 A gorgeous, elegant gold-amber pendant. 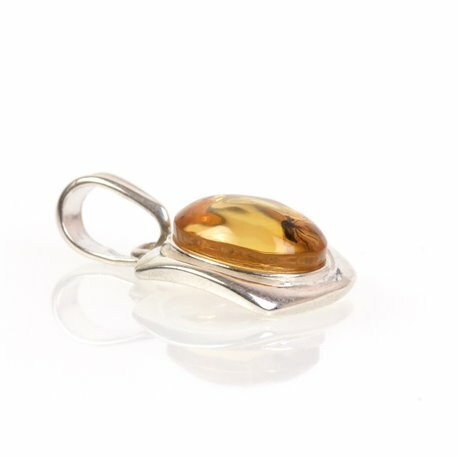 Clear amber pendant with an inclusion and a silver loop. 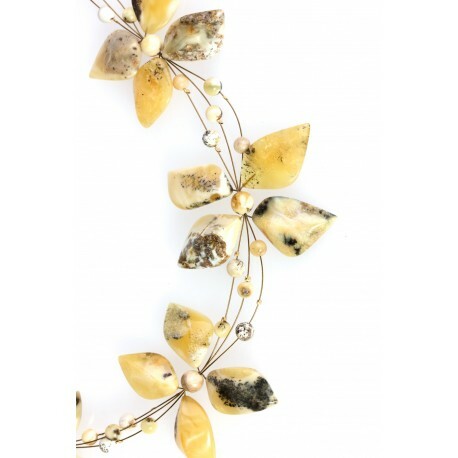 An exceptional pendant with the fragments of flora and nicely "spread" earth bubbles. 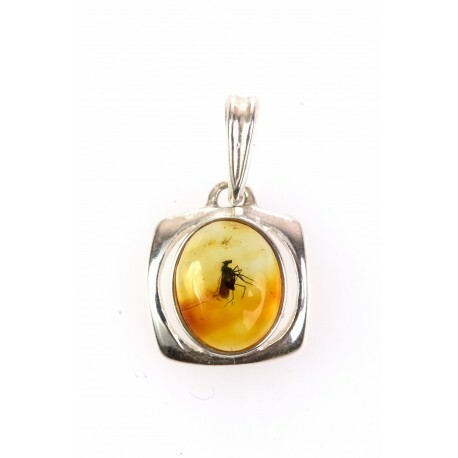 Pendant with an inclusion "Stopped Moment"
Clear, transparent Baltic amber "drop" with a clearly seen inclusion - a fly. 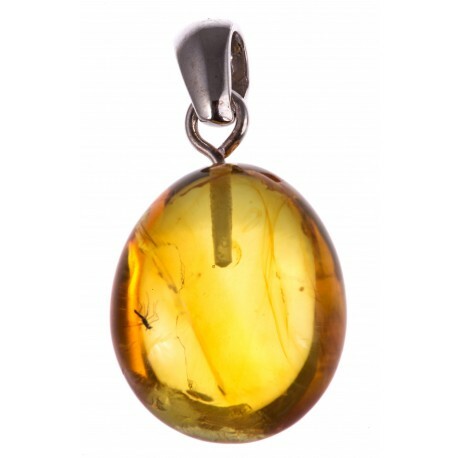 Amber pendant with an inclusion and a silver loop. 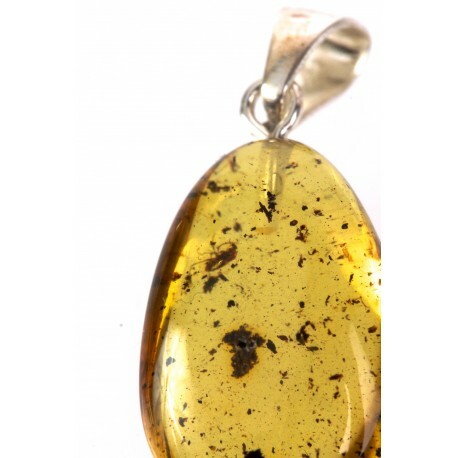 The fly which is stagnated in this amber drop - makes this pendant the only one like this. 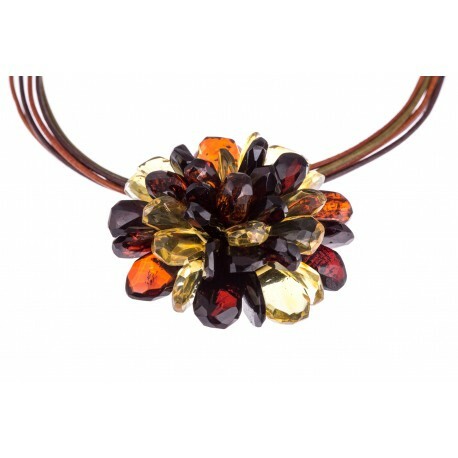 Do not miss a chance to wear this exceptional, unique pendant. 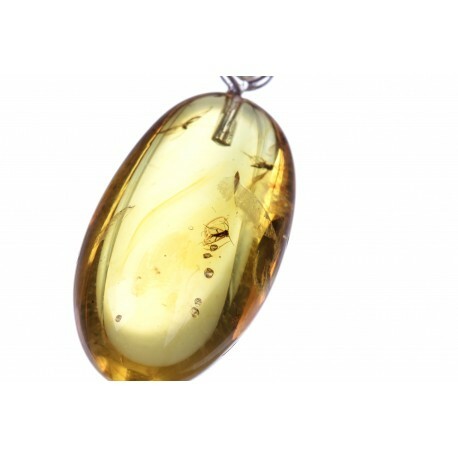 Gently polished amber pendant with an inclusion. 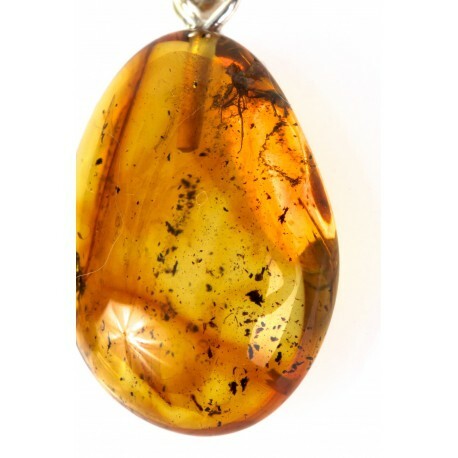 Three flies that are stiffed in this amber drop, makes this pendant completely exceptional. 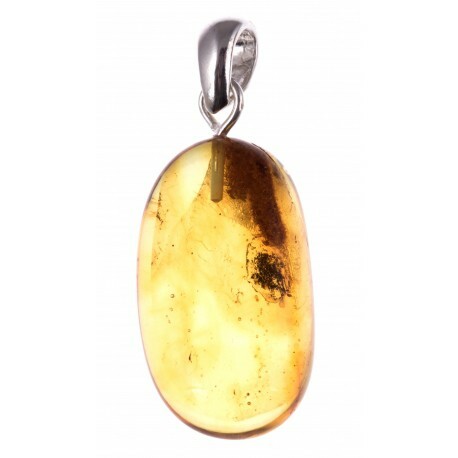 A silver pendant with the amber drop. 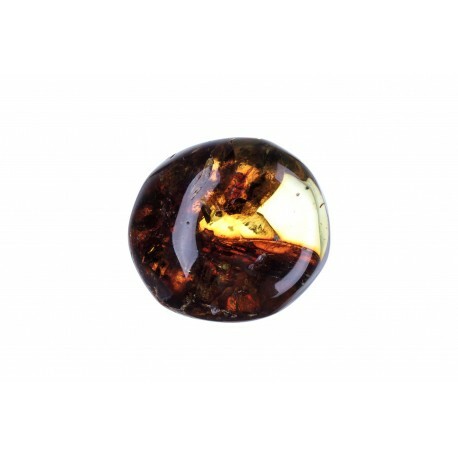 Gently polished piece of amber which has a stiffed fly inside it. This will be your an exceptional accent in Your appearance. 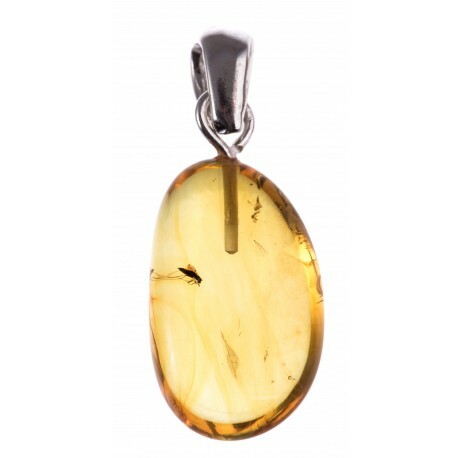 A silver pendant with the gently polished, yellow amber inclusion. 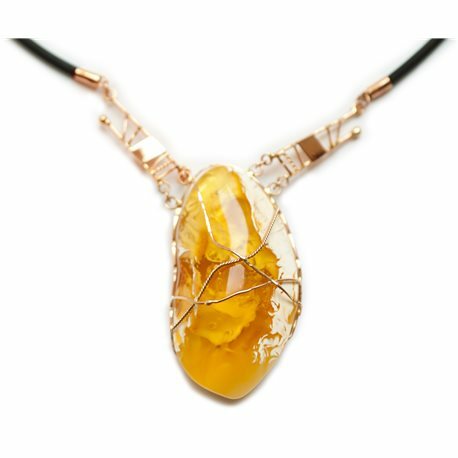 A unique jewelry - a natural creation of the nature. 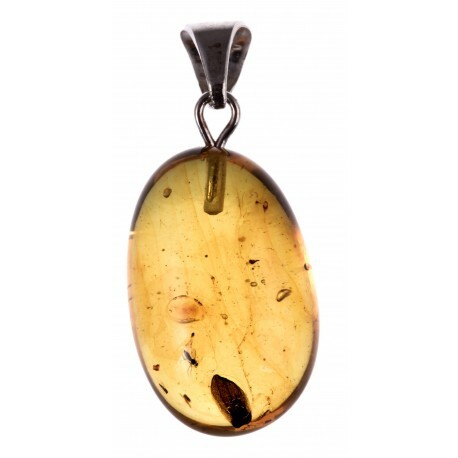 Silver pendant with amber inclusion in which amber secrets are reflected. 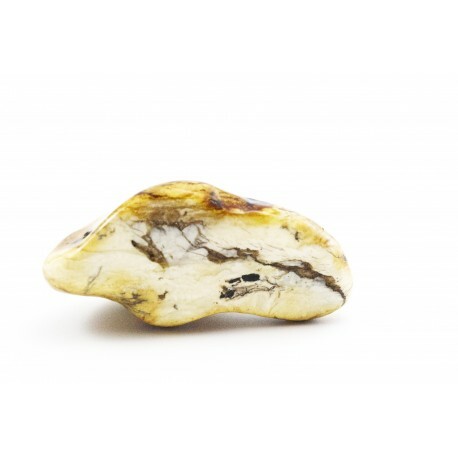 Clear, transparent Baltic amber piece with an inclusion. 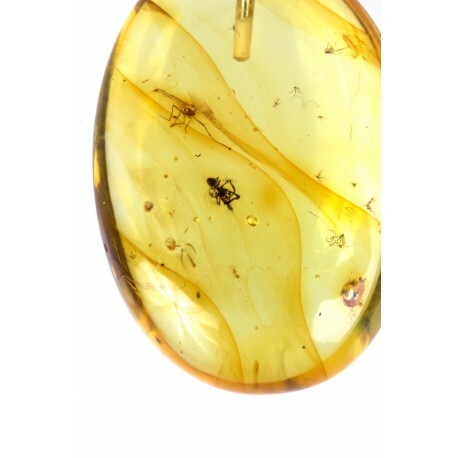 Beautiful, clear, transparent amber inclusion with two flies, decorated with a silver loop. 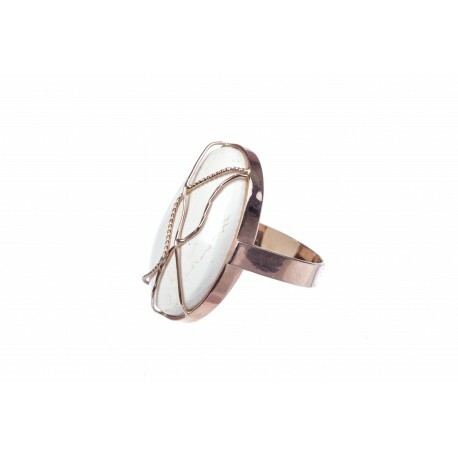 Oval, polished. 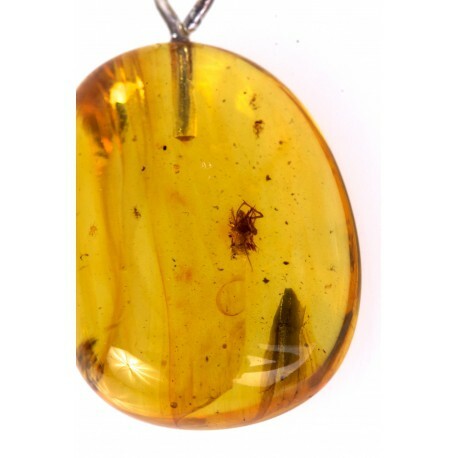 Pretty, transparent, clear amber inclusion with the flies, decorated with a silver loop. 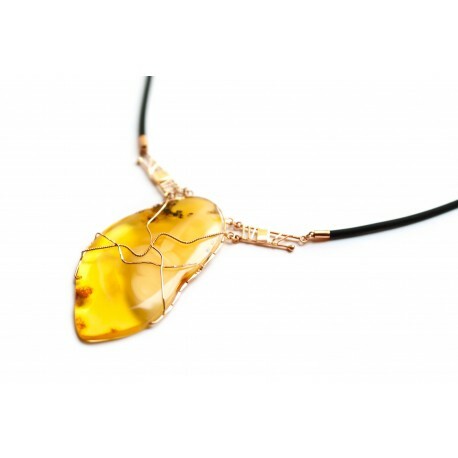 Clear, transparent, Baltic amber piece with an inclusion - an insect and also has various fragments of the nature. 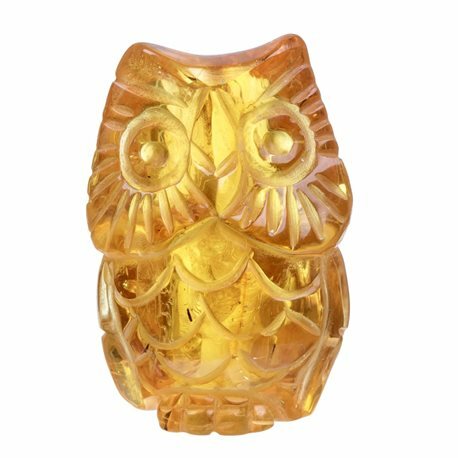 Gently polished, yellow-colour, amber figurine - an owl. 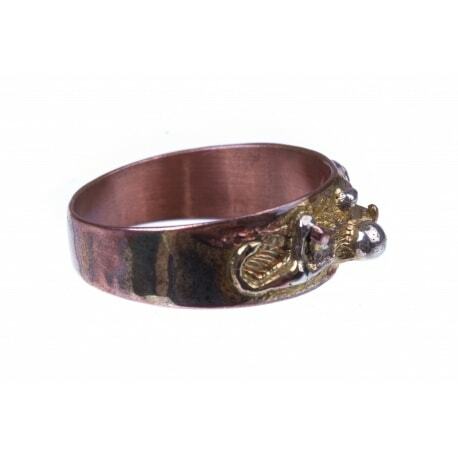 An owl - is a symbol of science, wisdom and knowledge. 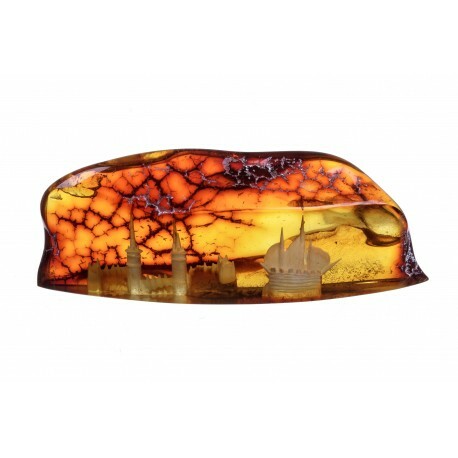 Gently polished, clear piece of amber with a drilled fortress' panorama inside it. 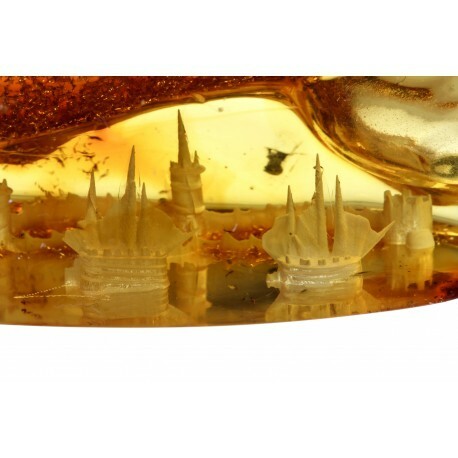 The bunkers and towers of a castle and the ships - gives the amber even more distinctiveness. 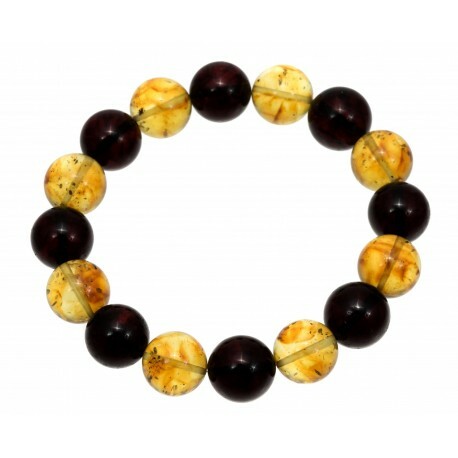 Gently polished piece of amber has the combination of cherry and cognac colours. 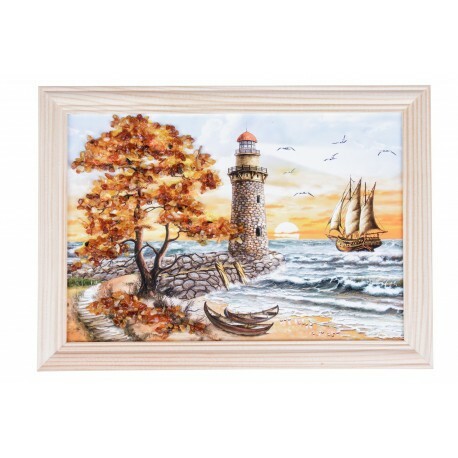 In this piece of amber the views of a fortress with the towers and a ship which comes back from the sea can be seen. 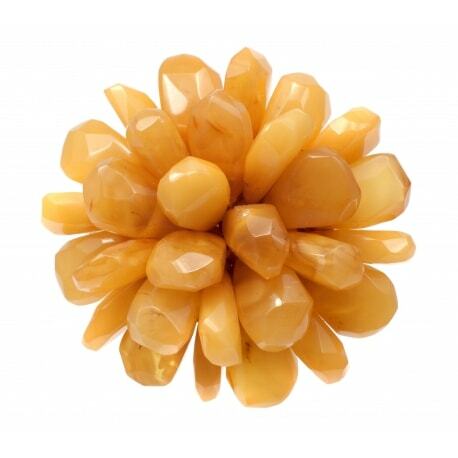 The nugget of the Baltic amber. 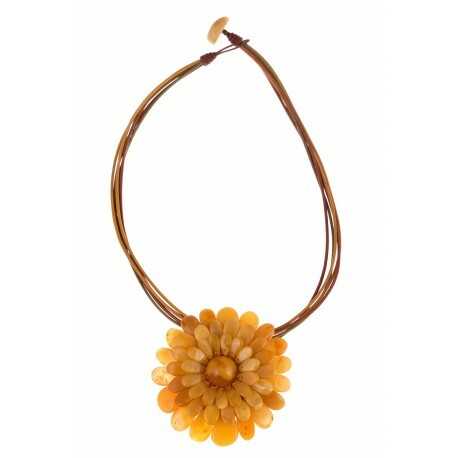 Yellow amber flower made of layered petals.This amber necklace - flower has two functions: it can be worn as a pendant or a necklace, or it can be pinned as a brooch. 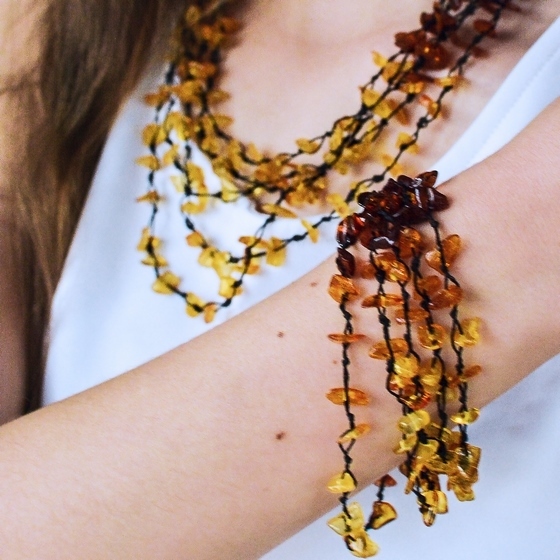 Amber - metal necklace "Marble Flowers". 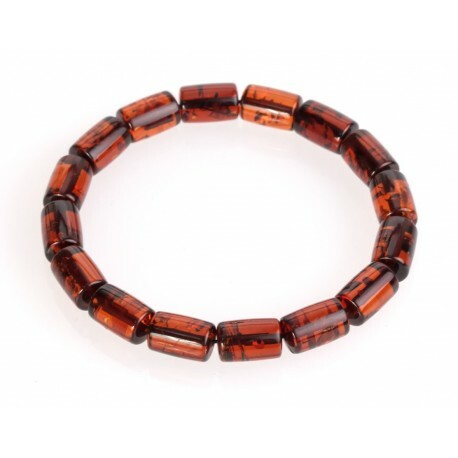 Amber bracelet strung of the cognac colour, cylinder-form amber beads. 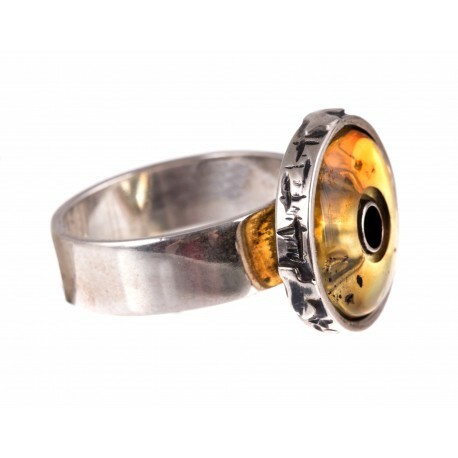 Silver ring with transparent brown amber. 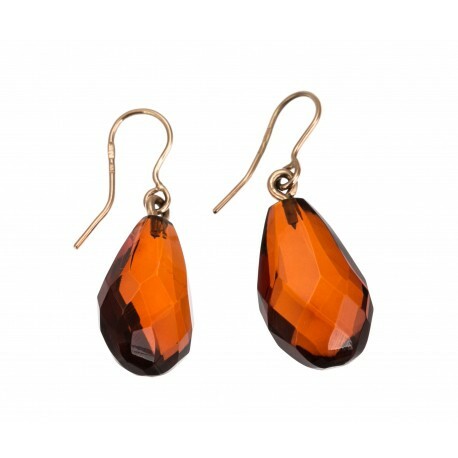 Cherry amber earrings "A Ripen Cherry"
Gently polished, cherry-colour amber earrings. 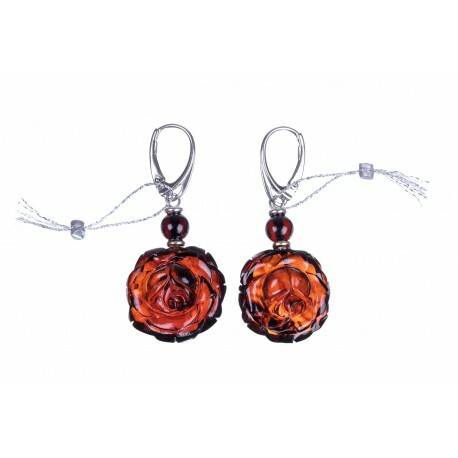 The elegant roses of the ripen cherry colour, have the silver insertions and this composition will give You the warmth and will suit for any occasion. 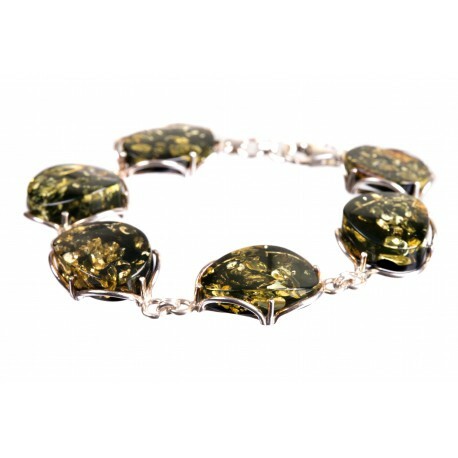 Silver bracelet with green amber. 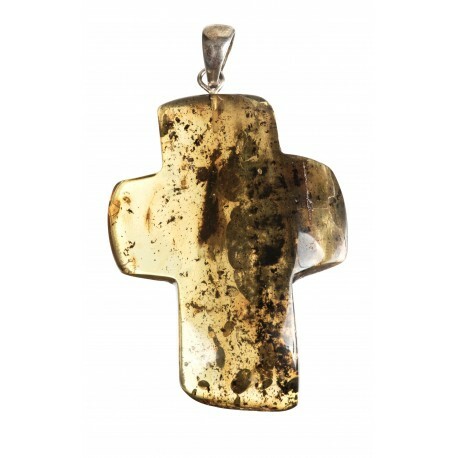 Silver pendant with a transparent amber cross. 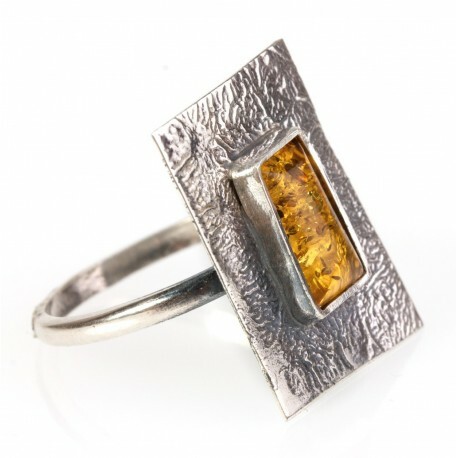 Square-form, silver ring with lemon-colour amber. 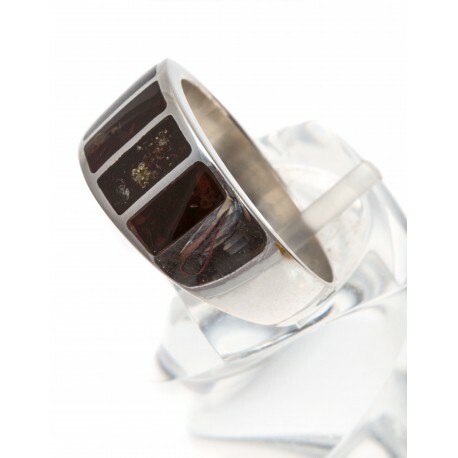 A silver ring with dark brown amber. 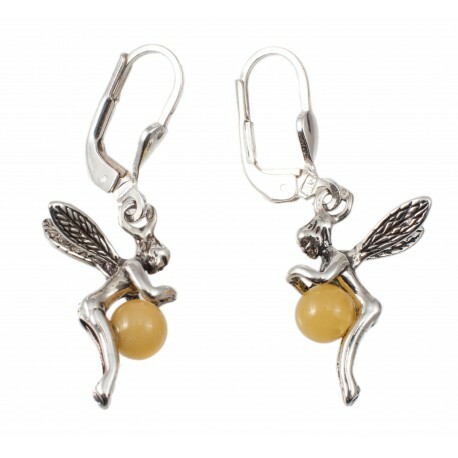 Graceful fairies that keep the secret of the Baltic sea depths which is amber. A fairy (Latin Fata - "the kind of destiny goddess", Latin fatum - destiny) is a graceful, tiny but powerful female spirit of the Western Europe legends and fairy tales. 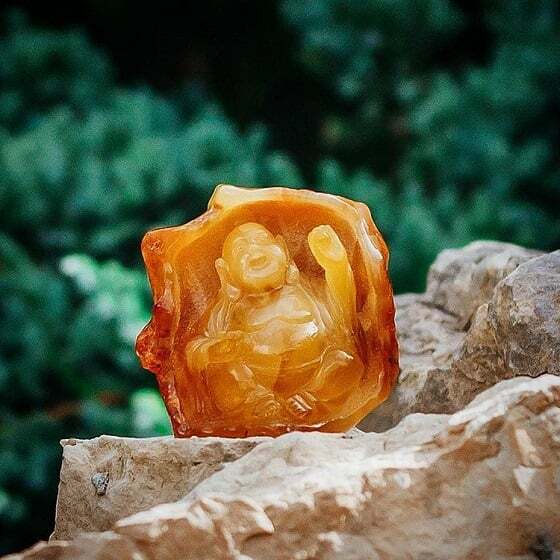 According to the legends, a fairy determines person's destiny and helps in life by good works. 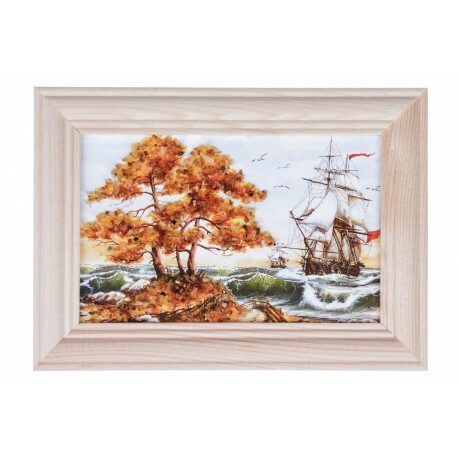 Paveiksliukas dekoruotas gintaro gabalėliais, mediniuose rėmeliuose. Vaizduojamas ramus peizažas. Paveiksliukas puoštas gintaro gabalėliais su mediniais rėmeliais. 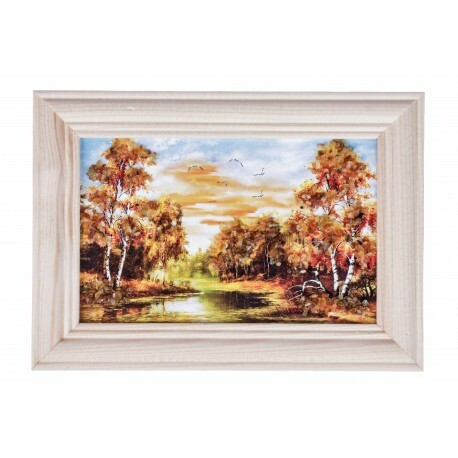 Paveikslėlyje miško ir bažnyčios bokštų vaizdas. 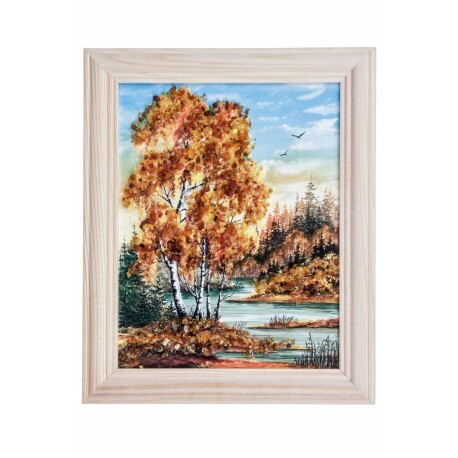 Paveikslėlis dekoruotas gintaro gabalėliais, šviesiuose, mediniuose rėmeliuose. Vaizduojamas ramus peizažas. 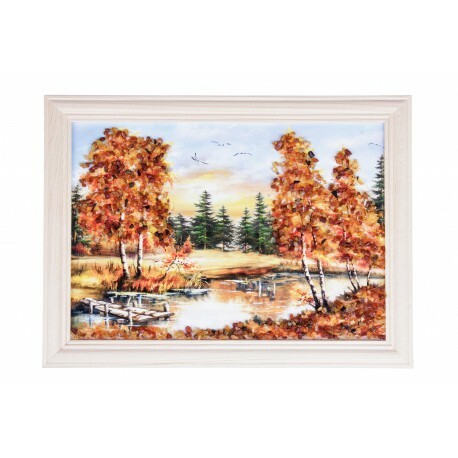 Paveiksliukas dekoruotas gintaro gabaliukais. Paveikslėlyje marinistinė tematika. 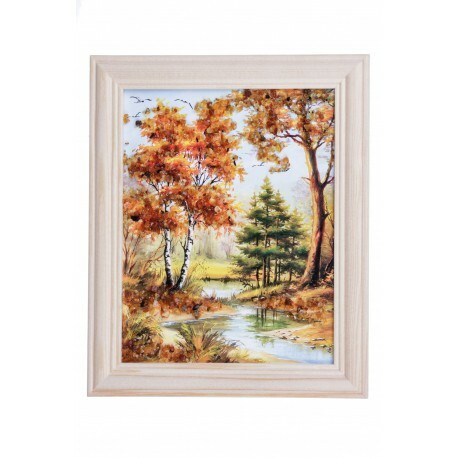 Paveiksliukas dekoruotas gintaro gabalėliais, šviesiuose mediniuose rėmeliuose. Vaizduojama jūros pakrantė, švyturys, o audringos jūros bangose senovinis laivas. Paveiksliukas su mediniais rėmeliais dekoruotas gintaru. 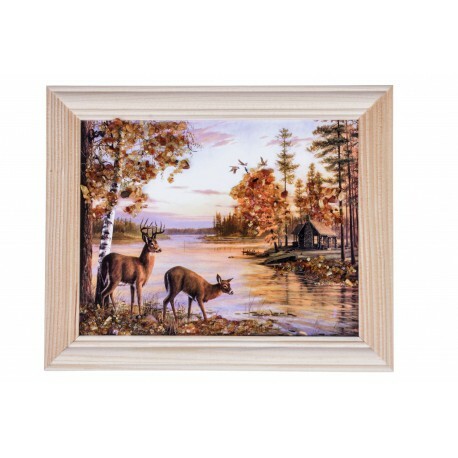 Vaizduojama gamtos tematika. 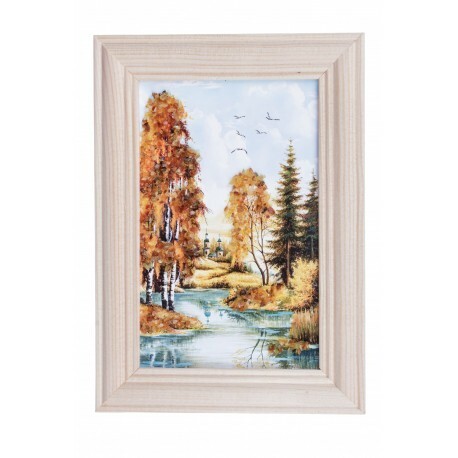 Paveiksliukas dekoruotas gintaro gabaliukais. 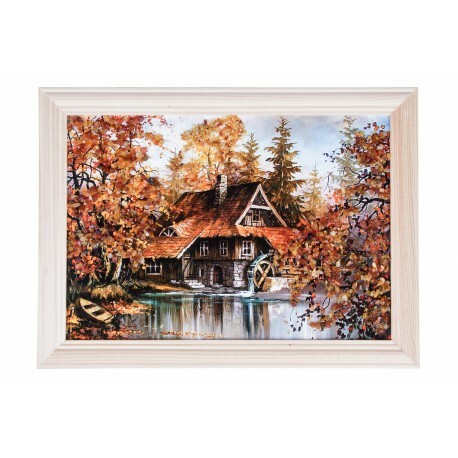 Vaizduojamas ramus peizažas. Paveikslėlis dekoruotas gintaro gabaliukais. Vaizduojamas namas miške prie vandens telkinio.